Riding on vast volumes of expertise in this arena, we are occupied in offering School Book Cover Paper. We are occupied in providing an extensive gamut ofSynthetic Book Cover Roll. Owing to immense experience and familiarity with this sphere, we are readily engaged in offering to our customers Synthetic Book Covers. Being a leader in the industry, we are engaged in offering a qualitative range of Synthetic Notebook Cover to our customers. 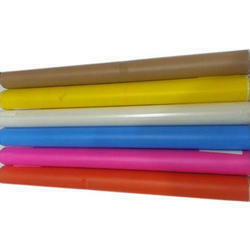 To meet the requirements of the clients, we offer Synthetic Book Cover Roll. Our firm holds expertise in offering a plethora of Synthetic Book Cover. These Book Covers are offered by us in varied sizes, designs and colors like jute brown, golden brown, natural, blue & orange to suit the diverse preferences of the patrons. - Synthetic can give your valuable books a long lasting cover which can preserve its content due to its waterproof, durable, non-tear and good print qualities. 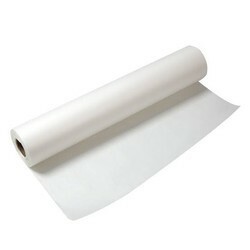 - Synthetic products are eco-friendly. Inferable from huge experience and recognition with this circle, we are promptly occupied with offering to our clients Synthetic Book Covers.